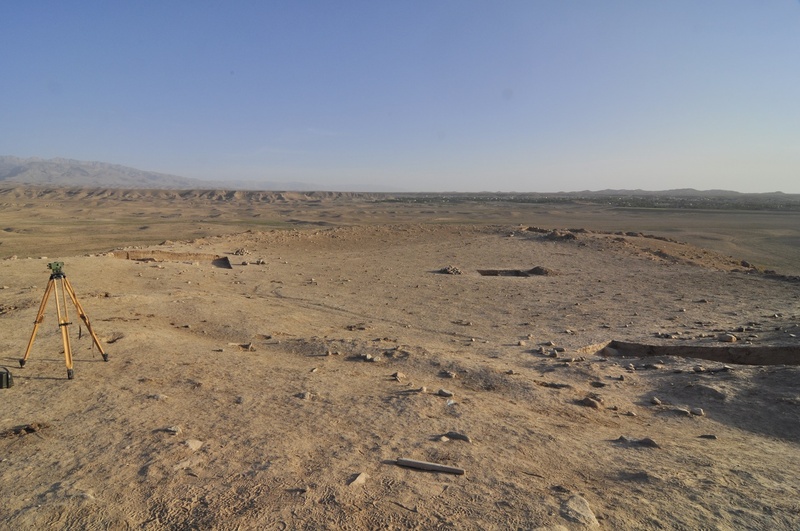 The first season of archaeological research in the site Burgut Kurgan in South Uzbekistan has recently ended. The expedition was led by staff and students from the Faculty of Arts. The research team, consisting of Czech, Uzbek, and French participants, was exploring the settlement of the Yaz I culture, which is generally considered a bridge between Late Bronze and Early Iron Ages in the southern part of Central Asia. The locality was discovered last year thanks to the prospecting activities of the Czech expedition. 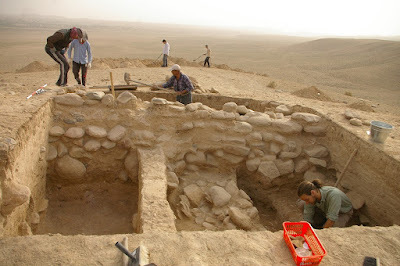 Almost one month of field work has now proved that Burgut Kurgan is a fundamental settlement of this culture. 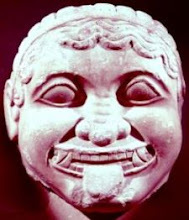 Its uniqueness resides, apart from other features, also in the fact that it was inhabited solely during one period, and therefore offers clean material in undisturbed contexts. Due to the amount of surface finds and the presumed existence of a stone rampart, the Burgut Kurgan locality seemed to be very promising even after the last year’s fieldwork. At that point, however, the prospecting activities were only a side project carried out during the works at the nearby site Kajrit 1, and the exploration was not systematic. This year, a carefully selected research team set out for Burgut Kurgan. 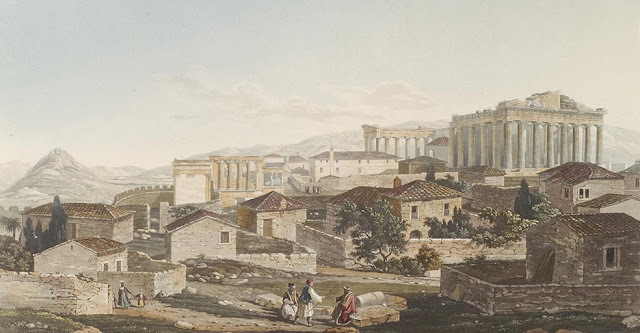 The expedition leader, Ladislav Stančo from the Institute of Classical Archaeology at the Faculty of Arts, introduced the research expedition in the following manner: "Apart from me and Jan Kysela, two students from our Institute took part - Jakub Havlík and Johana Tlustá. Their participation was enabled thanks to the crowdfunding campaign. Two students from the Department of Archaeology joined the team - Anna Augustinová and Michal Mrva." Ladislav Stančo was in charge of further prospecting activities and he also carried out the processing of research outcomes in the GIS environment. Jan Kysela led part of the excavations and was responsible for photographing, including photogrammetry. 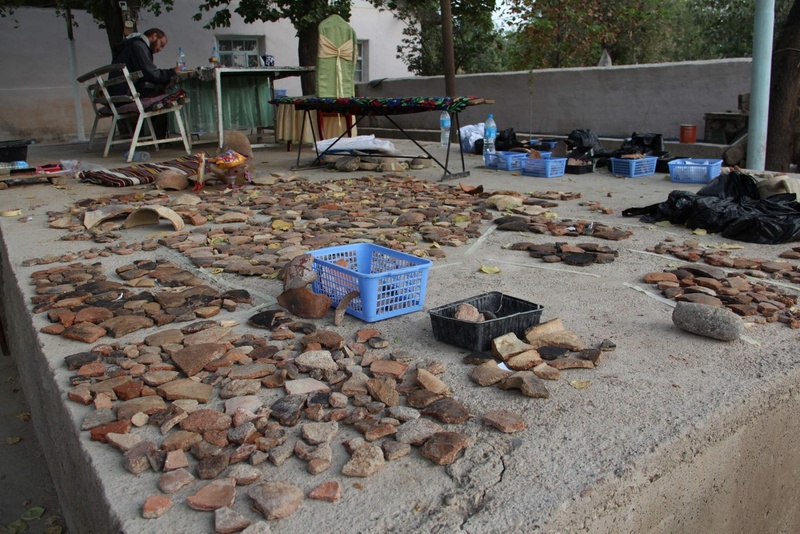 The students were in charge of the total station, they led some of the excavations, and were also responsible for documentation of pottery finds. The rich collection of handmade painted ceramics includes completely new and so-far unknown shapes. 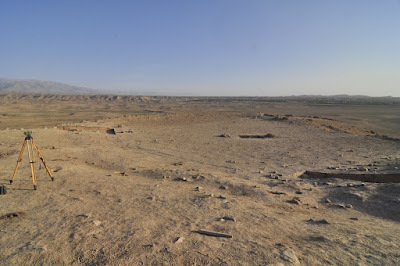 What is truly groundbreaking about Burgut Kurgan though are the architectonic features of the settlement, discovered in three parts of the locality. The assumption about the existence of a stone rampart has been confirmed. It seems that it used to be approximately 1.5 m wide, and currently the remains reach about 1 meter height, with adjoining buildings made of mubricks on the inner face of the stone wall. Up to this point, two development phases of this settlement have been discovered. In sector nr. 3, the archaeologists discovered a room (2×2 m) with floor paved with ceramic fragments. The fragile Yaz ceramics is not a suitable material for a solid floor, and the good condition of the fragments suggests that the surface was not burdened too heavily. 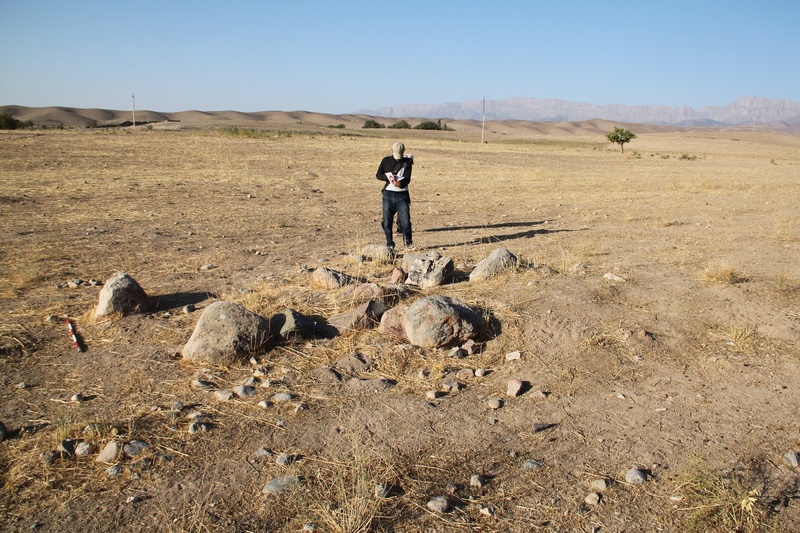 "First interpretations," according to Professor Shaydullaev, Uzbek co-director of the expedition, "suggest that we could be dealing with a ritual space, as described in Avesta, but so far not attested by archaeological research in such an early archaeological context." Other important discoveries of this expedition include a great number of rock carvings depicting both animals (especially ibexes) and humans in the immediate neighbourhood of Burgut Kurgan. Prospecting activities have also revealed several other settlements of the Yaz I culture. The overall picture suggests that we are dealing with a whole oasis settled by the Yaz people, which was abandoned and uninhabited periods. Ladislav Stančo is now preparing the next expedition which should carry on with fieldwork at Burgut Kurgan and around, but also attempt to find out more about the rock engravings. Photographs by Anna Augustinová, Jan Kysela, Johana Tlustá. Find out more about the activities of the Czech archaeologists in Uzbekistan on Facebook.